The only people who haven’t heard Pharrell’s “Happy” by now are actively avoiding it. The single has been No. 1 on the Billboard charts for eight weeks straight with no signs of slowing down. The accompanying music video—which features various individuals doing, well, happy stuff, like dancing in the street—has generated more than 187 million hits. But as much as you probably don’t need to see “Happy” again, here’s a new video demonstrating how, if you take away the actual music, the result is fascinating. 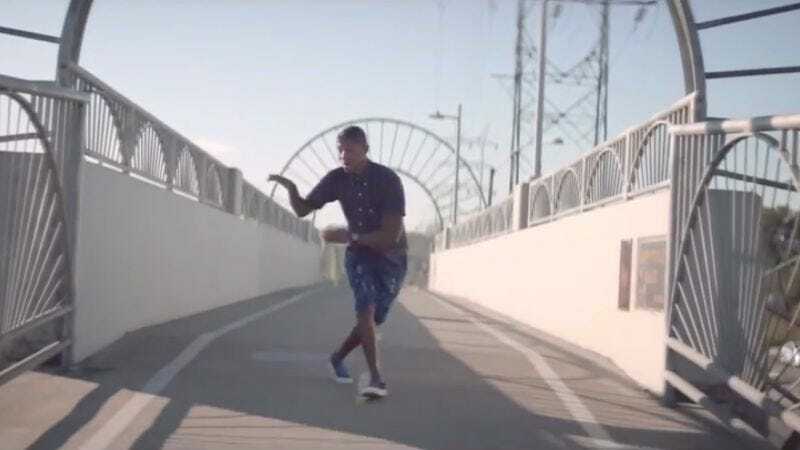 It starts out kind of sad, with Pharrell singing about happiness in a creepy dark alley, and as it continues, the video just becomes about crazy people semi-singing to themselves and dancing wildly to nothing. Also, that old man should get his bones checked out.